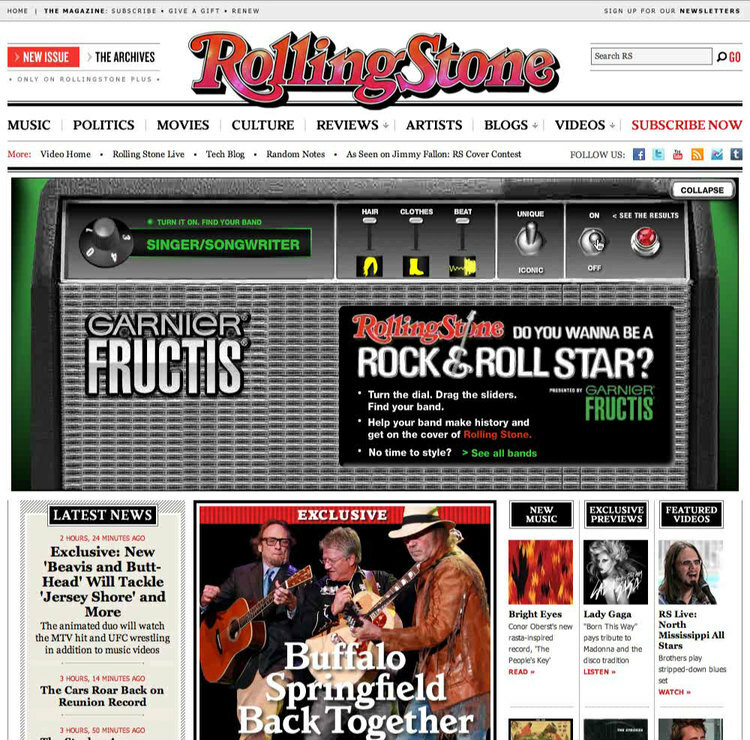 Rolling Stone decided to let readers vote on what band out of 10 possible choices would be featured on the cover of its magazine. A cross promotion was initiated with Garnier which included this expandable ad banner that would open to reveal an amplifier The controls allow people to pick styles of hair, clothes and musical genres. Information would be gathered to result in a song sample and photo of one of the bands based on the choices.